Bones from the 95-year-old body of famous television personality Alistair Cooke were stolen and sold to bone tissue banks around the country, even though Cooke had died of cancer that had spread to his bones. 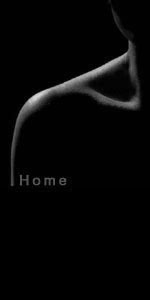 No one knows where the bone tissue is now or how much cancerous bone has been transplanted into unwitting patients. There are very few regulations for human tissue banks. According to charges filed in New York in 2006, a New Jersey dentist, Michael Mastromarino, and codefendants were responsible for the pillaged body parts, robbing more than a thousand bodies of bones, ligaments and organs. The parts were sold in the United States and abroad. Mastromarino subsequently pled guilty to numerous charges of enterprise corruption, reckless endangerment and body stealing in New York, and in Pennsylvania to charges involving his business arrangement with three Philadelphia morticians. 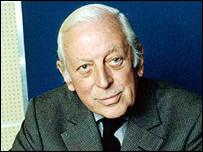 Alistair Cooke - Wikipedia, the free encyclopedia. Michael Powell and David Segal, "In New York, a Grisly Traffic in Body Parts," Washington Post, January 28, 2006. Joseph A. Slobodzian, "Body-parts Mastermind Pleads Guilty," Philadelphia Inquirer, August 29, 2008.